Giving appreciated publicly traded securities is a wonderful and tax-efficient way to make a gift to the Travis Roy Foundation. For securities held longer than one-year, you are entitled to a federal income tax deduction for the full fair market value of the securities, regardless of what you originally paid for them. 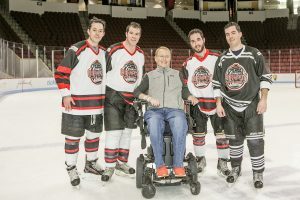 In addition, neither you nor the Travis Roy Foundation will pay capital gain taxes on the long term gain realized upon the sale of the stock. 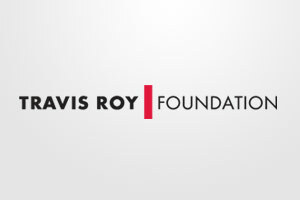 Gifts to the Travis Roy Foundation are eligible for the maximum income tax deduction available under federal tax law. You give appreciated securities to the Travis Roy Foundation. The Travis Roy Foundation sells the securities and uses the proceeds for the Foundation’s programs. You get an immediate tax deduction equal to the full fair market value of the securities you transferred, regardless of what you originally paid. You do not pay any capital gains taxes on the securities donated. You get the satisfaction of helping the Travis Roy Foundation and people overcoming paralysis from spinal cord injuries. To make a gift of appreciated securities to the Travis Roy Foundation, please contact either Arthur B. Page at apage@hembar.com (617 557 9712) or Mary T. Quinlan at mquinlan@hembar.com. We will need the following information: description of shares to be given (i.e. number of shares of XYZ corporation common stock); date of acquisition; cost basis; and whether there are any restrictions or encumbrances on the shares. Please give this information to Mary T. Quinlan at mquinlan@hembar.com when you transfer the shares. The Travis Roy Foundation will give you a receipt to substantiate your gift for tax purposes. Thank you! And please let us know if you have any questions.